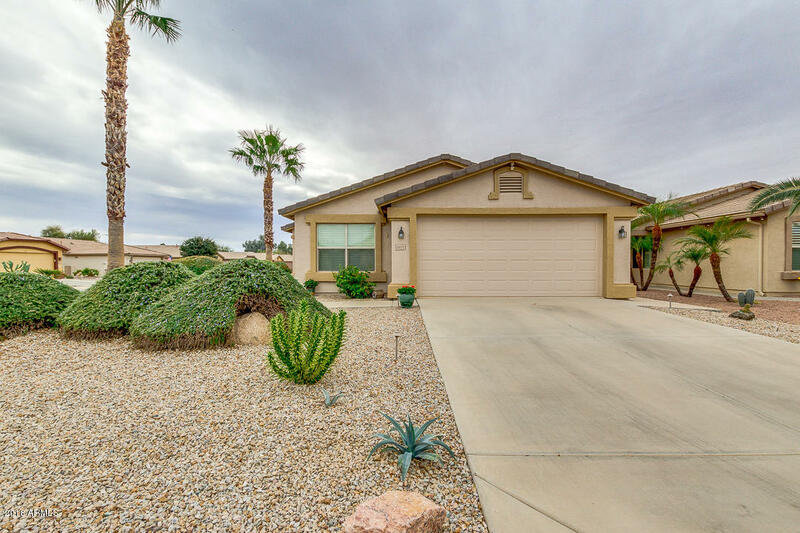 Don't miss your opportunity to own this gem of a home in the wildly popular, adult active community of Solera! Imagine driving your golf cart to the clubhouse where you'll find a heated pool, spa, fitness center, pickle ball, tennis courts, craft room, ceramics shop, community area & social groups galore. When your not feeling social, relax in your charming 2 bedroom plus den, single level home, all within the guarded & gated community! Master bedroom has walk in shower & dual sinks. Tile flooring throughout, except for the newly carpeted bedrooms. Attached 2 car garage, covered patio, & a north facing, corner lot. Low maintenance landscaping, shutters on all windows & freshly painted both inside & out. See floor plan in pictures - but better yet, come see this beauty for yourself!